Yes, I’m referring to Mary the Mother of Jesus and the mother of us all. Jesus had the utmost respect for women. He had women in his ministry, Jesus appeared to women first at the resurrection. Jesus was surrounded by many women and Marys during His ministry. 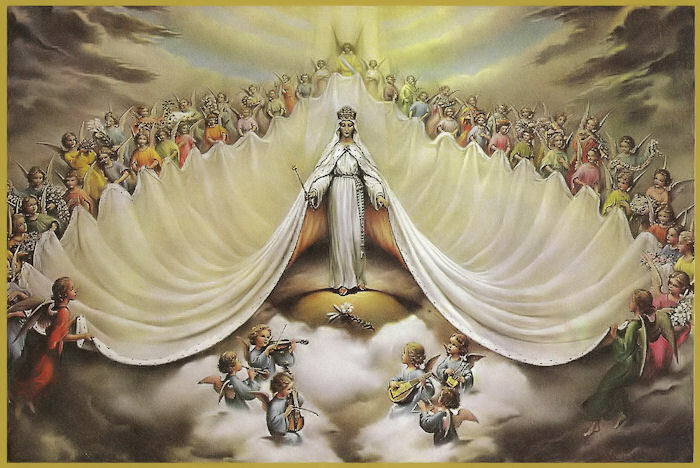 If God has elevated Mary to queen of heaven then she has influence. Some people think that I worship Mary, NO!!!!!!!!! I love, I aspire, I appreciate, I honour Mary because Jesus loved her and because He gave her to us as our Mediatrix and intercessor. When Jesus started his three year ministry it began at the wedding at Cana. Mary felt the embarrassment of the parents and asked Jesus to turn the water into wine. Jesus didn’t ignore her, He listened and did as Mary told Him. So that propelled Jesus as the miracle worker. So then we can say that Mary is our ally, Mary works for us, Mary is our intercessor. Why????????? Because Jesus loved Her. If you love the Son then you love the mother, because Jesus came from God first- His divine nature and from Mary-His human nature. Now it has been said that the miraculous medal of Mary has been attributed to many miracles. Let’s get this clear first, God is the Almighty, God gave Jesus His powers, Jesus gave Mary the power too. 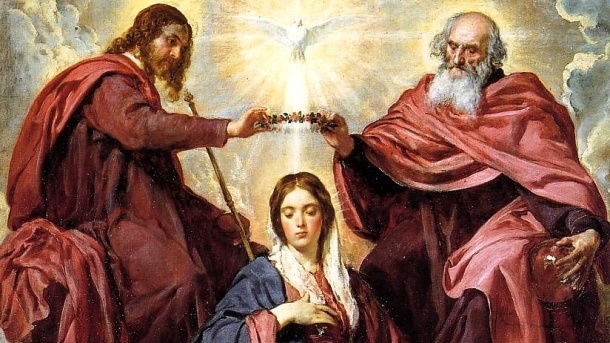 Jesus’miraculous power can work through people just look at the saints, Jesus works through Mary too. So by wearing or placing this medal in your car, or house, or your children’s room and with a heart of faith and prayer Mary can intercede for you too. (nothing happens without faith). Look at the medal and all it’s symbols (see attachment below) where she brings Jesus with her ( please also refer to the testimony of Father Scheier at his judgement day when he was declared dead and Mary came to his rescue). By what intervention and through what vessel did the Blessed Mother convey the design of this medal? As in the case of The Divine Mercy revelations to St. Faustina, a young, unassuming nun in 1930s Poland, once again God chose an unlikely helper. Nearly 100 years earlier, He selected a 24-year-old novice in the community of Sisters known as the Daughters of Charity, Paris, France, in 1830. The extraordinary story begins on the night of July 18, 1830, when a mysterious child awakens Sister Catherine Laboure. The child leads her to the convent’s chapel. There, Sister Catherine sees the Virgin Mary, sitting in a chair. She kneels beside Mary, and rests her hands in the Virgin’s lap. The two speak for several hours. During the conversation, Mary promises she will return and give the young nun “a mission.” The child leads Catherine back to her bed. Catherine hears the clock strike 2 a.m., July 19. A little more than four months later, Sister Catherine learns what Mary wants. During her evening meditation on Nov. 27, 1830, Catherine has a vision of Mary standing in a position similar to the depiction on the medal. Later, the vision changes to include the inscription found on the front side of the medal. It was as Mary said. The medal’s effects were immediate. The first medals were made in 1832 and distributed throughout Paris. According to the Association of the Miraculous Medal, the blessings that Mary promised “began to shower down” on wearers of the medal. The devotion spread rapidly. In 1836, a Church investigation declared the apparitions to be genuine. Since Mary asked Catherine to have the medal struck, devotion to the Miraculous Medal has spread the world over, the image having achieved iconic stature. • Two hearts are depicted underneath the “M,” the left lapped with a crown of thorns, the right skewed by a sword. From each, a flame emanates from the top. Again, employing a grid analysis, we can see how the reverse-side design contains great symbolism reflecting major tenets of the Catholic faith. 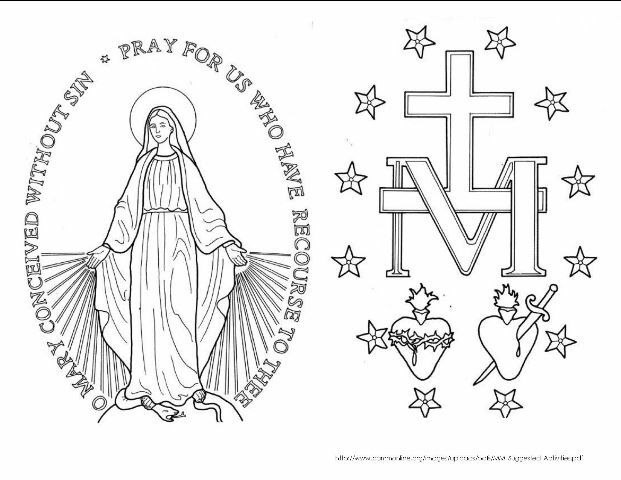 • The large letter “M” — Mary as Mother, Mediatrix. • Cross and bar — Jesus’ cross of Redemption. Or oldest son is consecrated to the BVM & has a lovely devotion to the Miraculous Medal. He always has a few in his pocket & hands them out to children as the HS inspires him to. Especially following Mass. He’s a young adult, a military man and it’s quite endearing to witness. Oh, how our Blessed Mother transforms us…he’s athletically built & yet with the medals in his hand he’s a teddy-bear to cuddle! The children love it…. Prayers he one day finds a lovely woman to share the experience with!! Thank you for the delightful post it warmed my heart & brought comfort to my motherly heart!!! Hugs!! WOW!!!!! I wish your son God’s protection and hand over him as he goes about his military work.May he go forth and bring the heavenlies-God the Father, God the Son and God the Holy Spirit and Mother Mary to others. Abundant blessings to all.